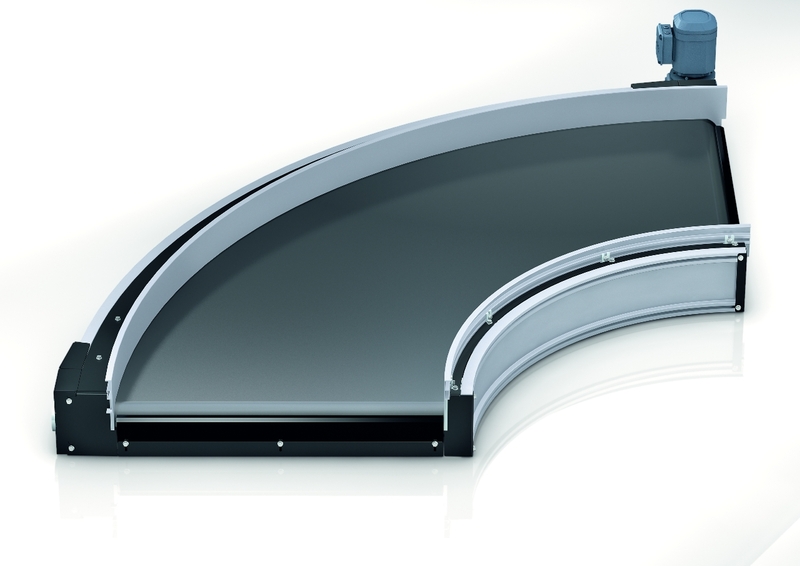 The belt curves feature a safe, form-fit drive concept and have been designed specifically for mixed materials with a wide variety of compositions. Their top of belt height is only 160 mm, with a noise emission level of less than 64 dbA, making them one of the quietest belt curves on the market. The Belt Curve has an automatic belt tensioning device, a robust belt guide concept and an especially light and rapidly replaced belt without removal of the motor. The Interroll Group is one of the world’s leading specialists within the field of internal logistics.